Originally established path on the part of the City ditch leading to the Seine, this street will be named rue de Seine in 1489 She wears a long street name of the Senate from 1867 it has been built only from about 1535. 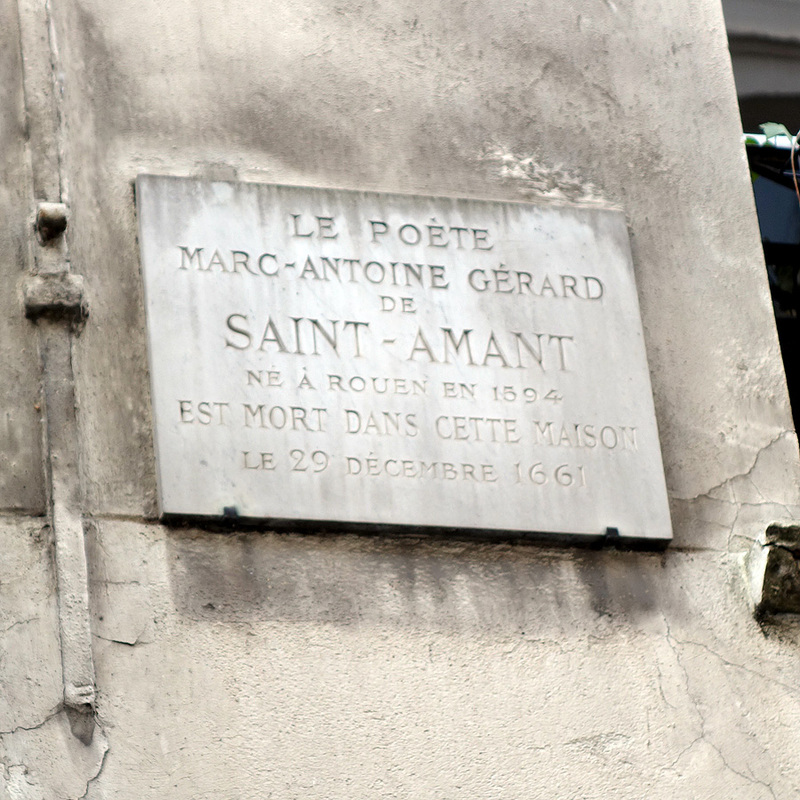 The part between the dock and Malaquais rue de Buci is the only one that is old, it goes back to the middle of the thirteenth century, bear the names of chemin du Pré Clerics Road tending Porte de Buci in Pre Clerics Road Porte de Buci in the Seine road Pillory at Pre Clerics. 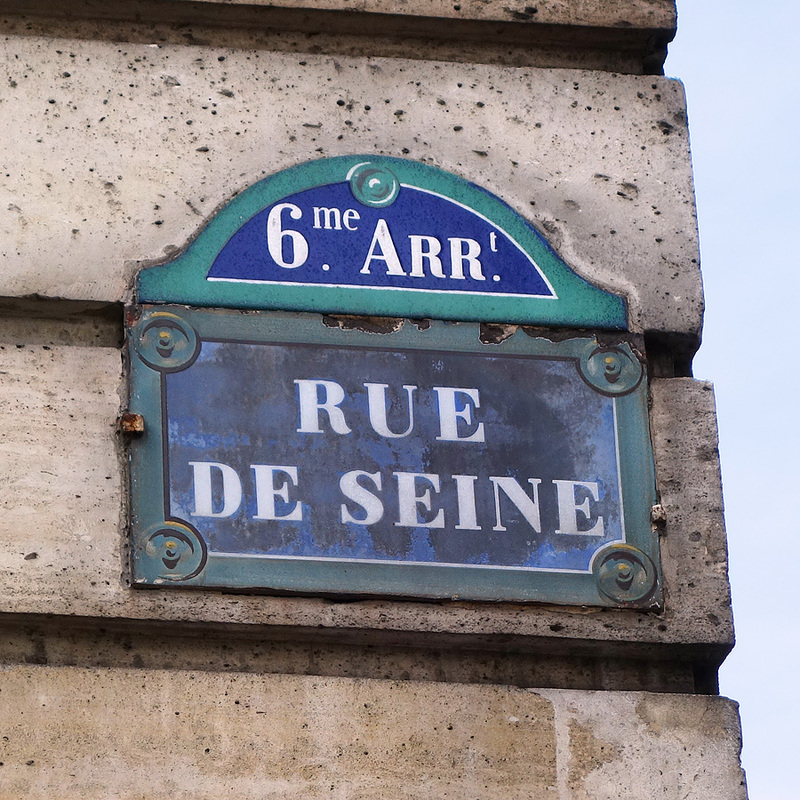 Rue de Seine is the theme and title of a poem by Jacques Prévert. Rue de Seine is also the name of a collection of linens Sonia Rykiel. 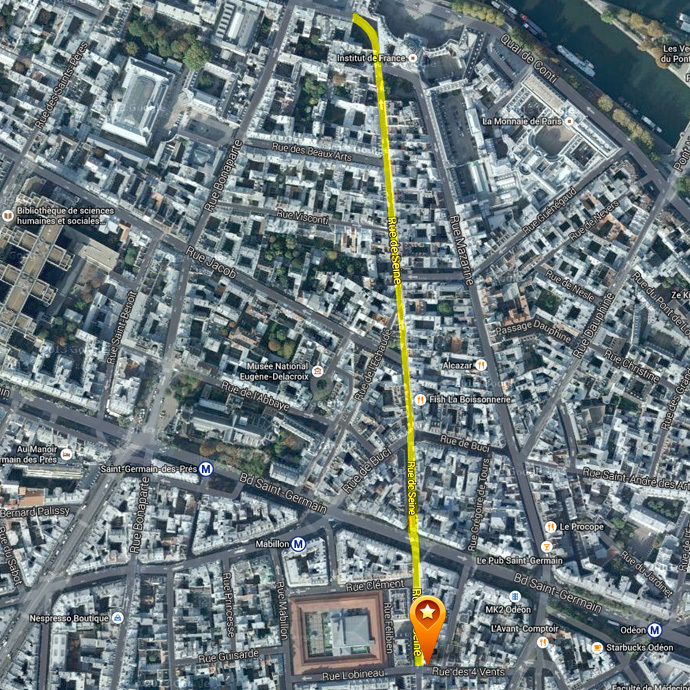 À l'origine, chemin établi sur la partie du fossé de la Ville aboutissant à la Seine, cette rue sera baptisée rue de Seine en 1489. Elle porte un temps le nom de rue du Sénat à partir de 1867. 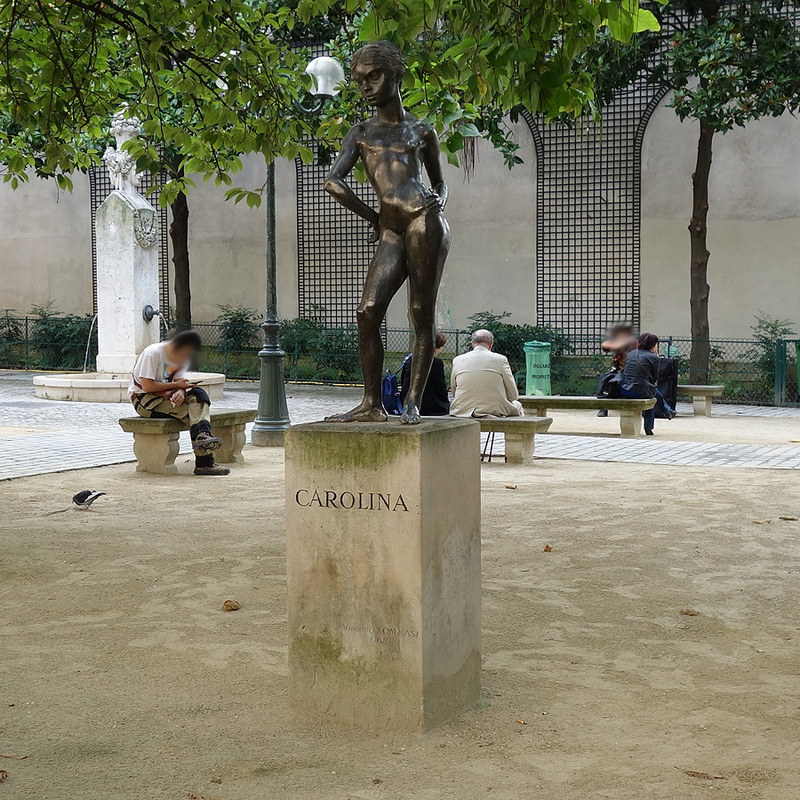 Elle n'a été bâtie qu'à partir de 1535 environ.La partie comprise entre le quai Malaquais et la rue de Buci est la seule qui soit ancienne, elle remonte au milieu du xiiie siècle, portera les noms de chemin du Pré aux Clercs, chemin tendant de la Porte de Buci au Pré aux Clercs, chemin de la Porte de Buci à la Seine, chemin du Pilori au Pré aux Clercs.Rue de Seine est le thème et le titre d’un poème de Jacques Prévert.Rue de Seine est aussi le nom d'une collection de linge de maison de Sonia Rykiel. 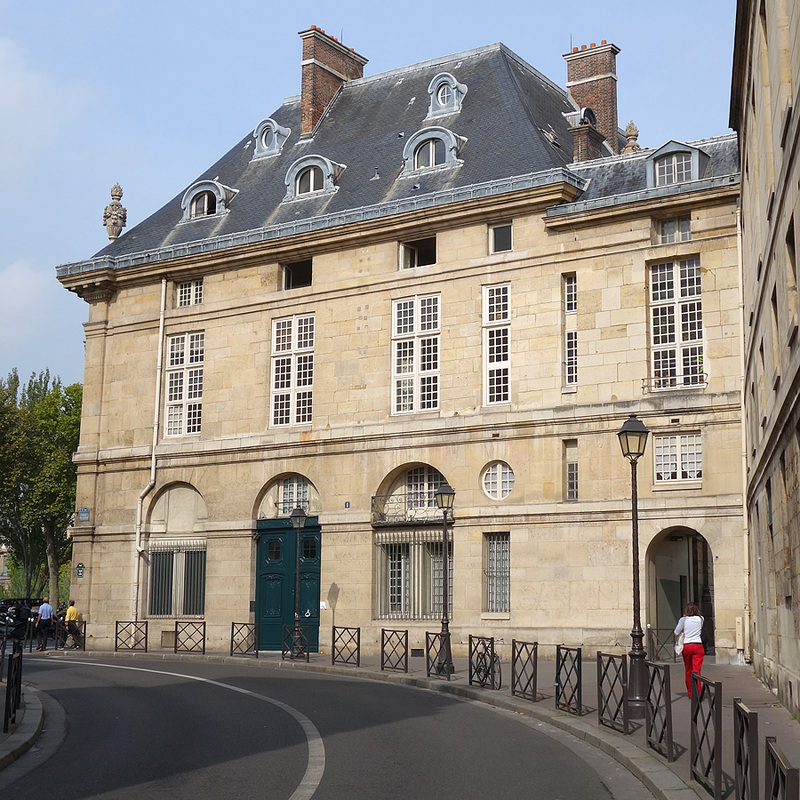 The Institut de France is a French academic institution created October 25, 1795, sitting in the old building of the College of the Four Nations located at No. 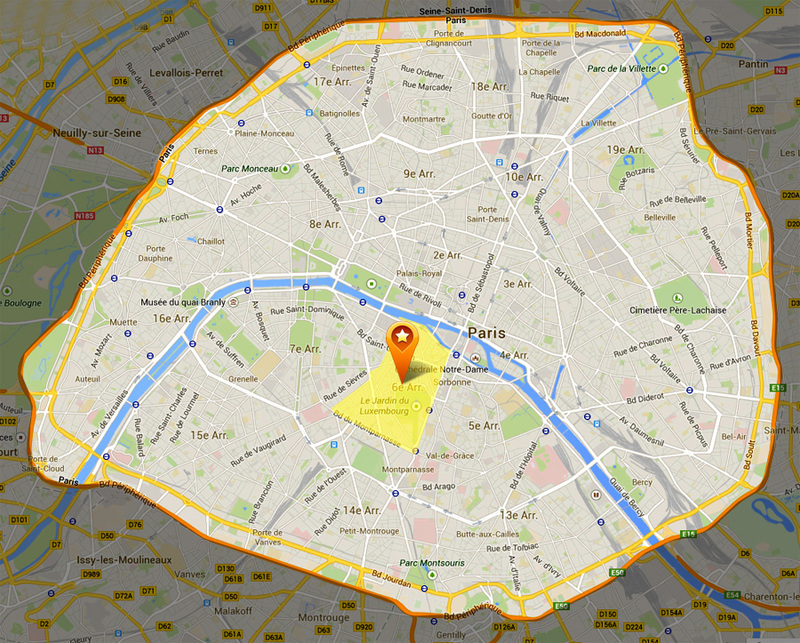 23 Quai de Conti in the 6th arrondissement of Paris. 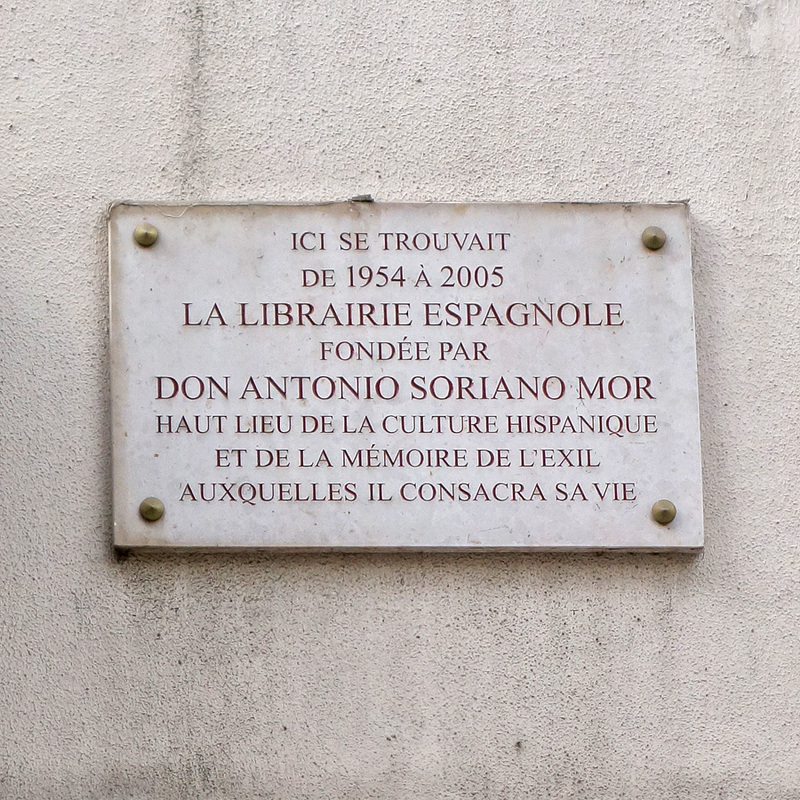 at the beginning of the Rue de Seine, in the Little Square Honoré Champion, just behind the Institute of France. 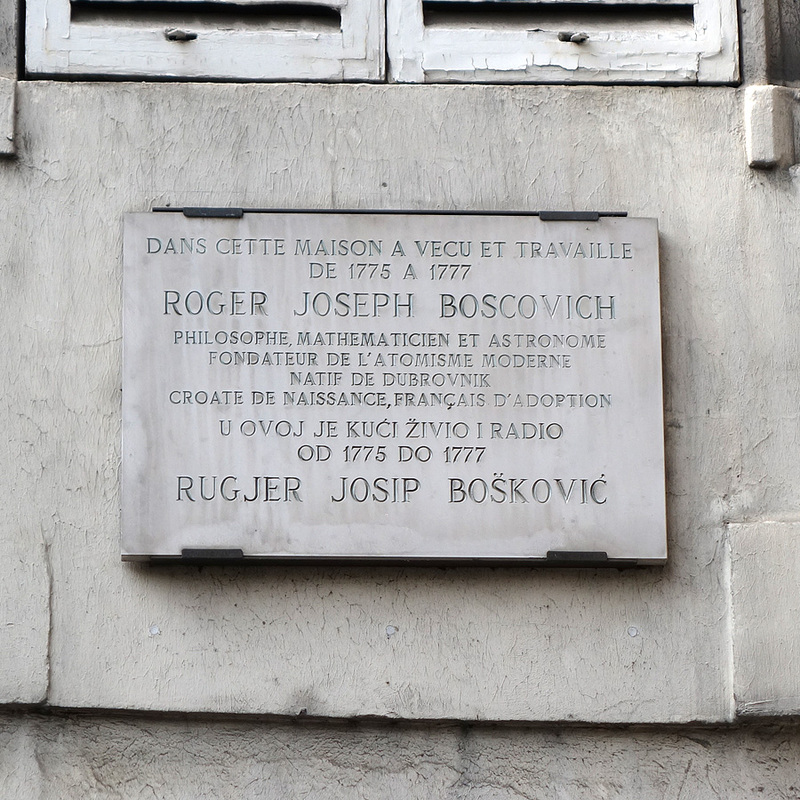 In this house lived and worked from 1775 to 1777 Roger Joseph Boscovich. Philosopher, mathematician and astronomer. Founder of modern atomism. Dubrovnick native Croatian by birth, French by adoption. 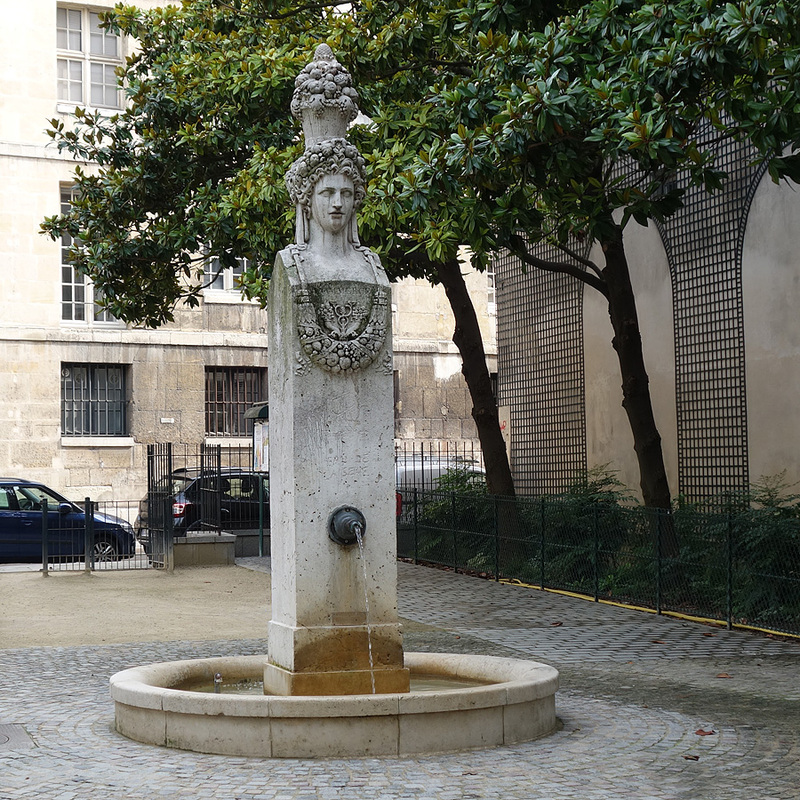 This fountain is located in the Square Gabriel-Pierné, it dates from 1830 and was used to supply water to the market Carmelite installed Place Maubert. 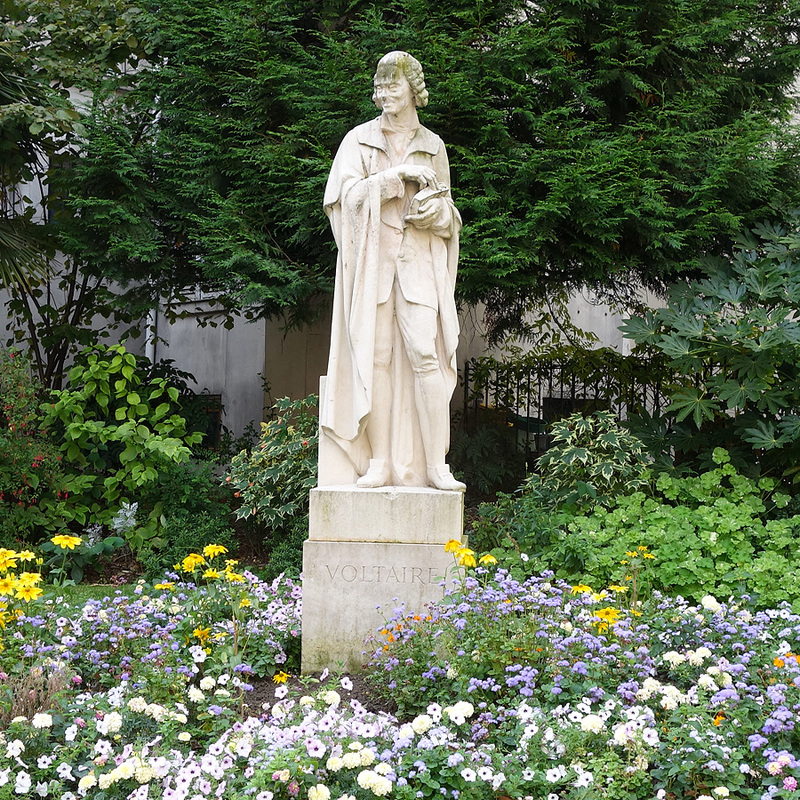 Designed by the French painter and sculptor Alexandre-Evariste Fragonard (1780-1850), it was moved in 1930, before construction of the square. 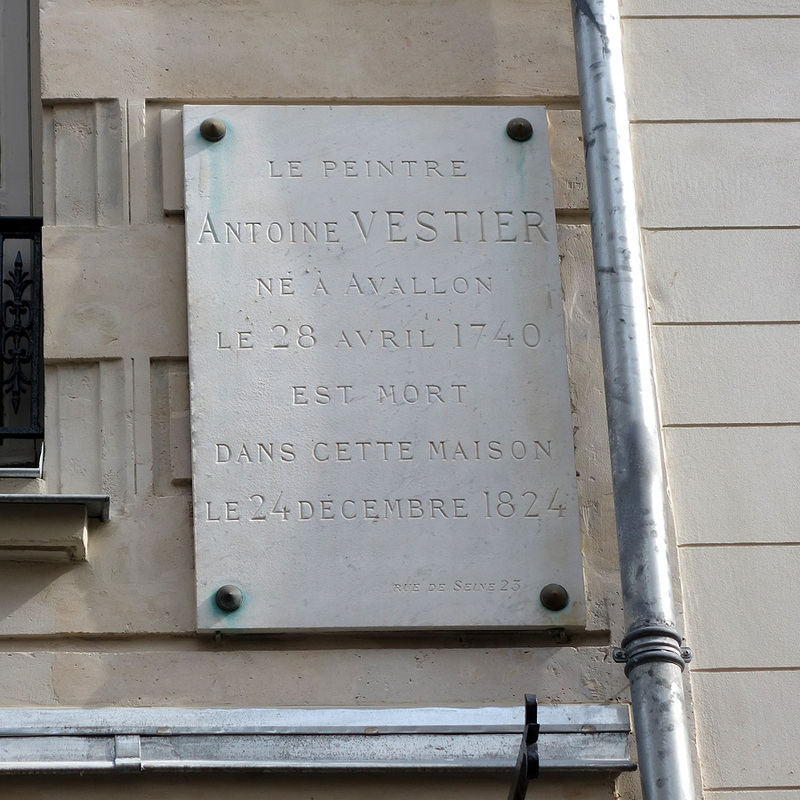 The painter Antoine Vestier born in Avallon April 28, 1740 died in this house Dec. 24, 1824. 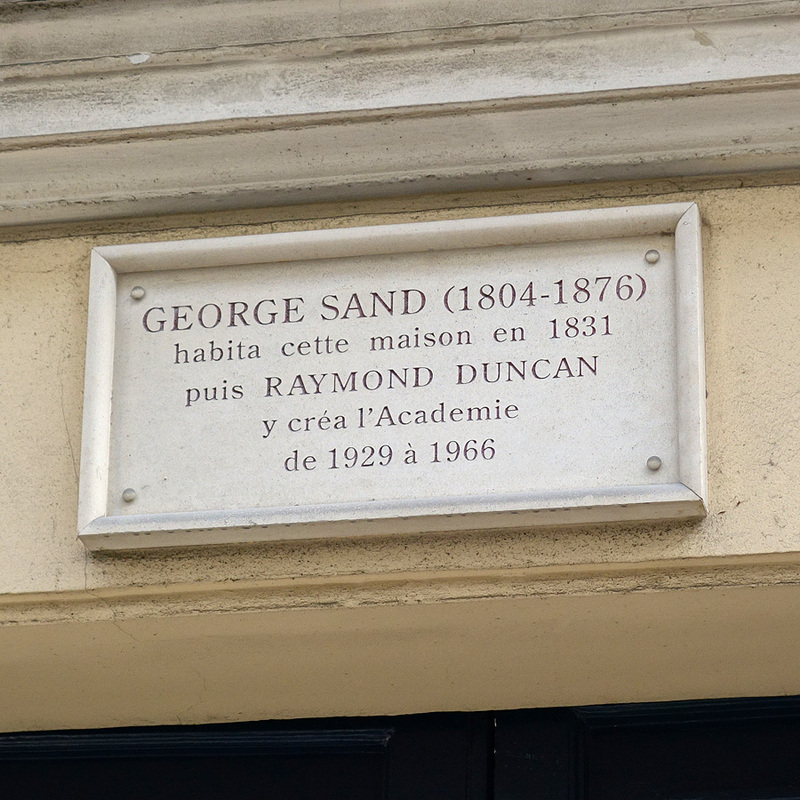 George Sand (1804-1876) lived in this house in 1831 and Raymond Duncan there founded the Academy from 1929 to 1966. 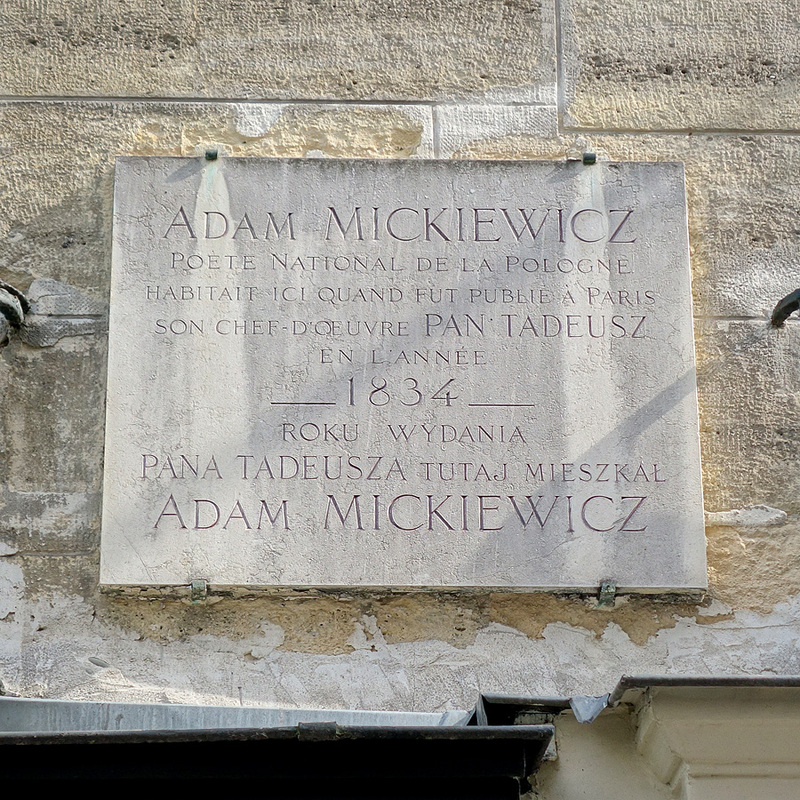 Adam Michiewicz national poet lived here when Poland was published in Paris his masterpiece Pan Tadeusz in 1834. 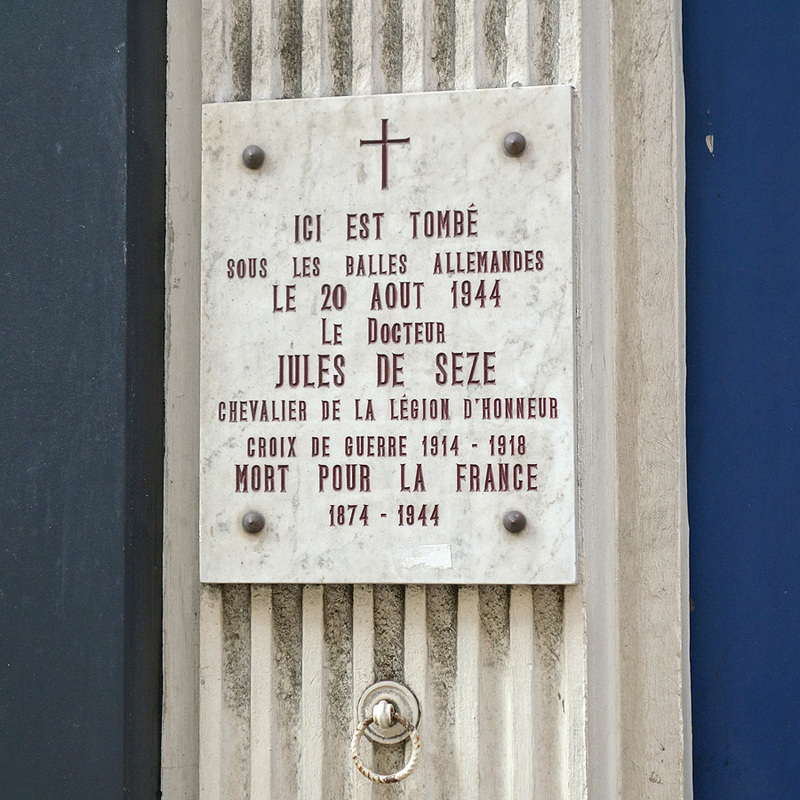 Here fell under German bullets August 20, 1944 Dr. Jules de Seze, Chevalier of the Legion of Honor. War Cross 1914 - 1918 Died for France - 1874-1944. 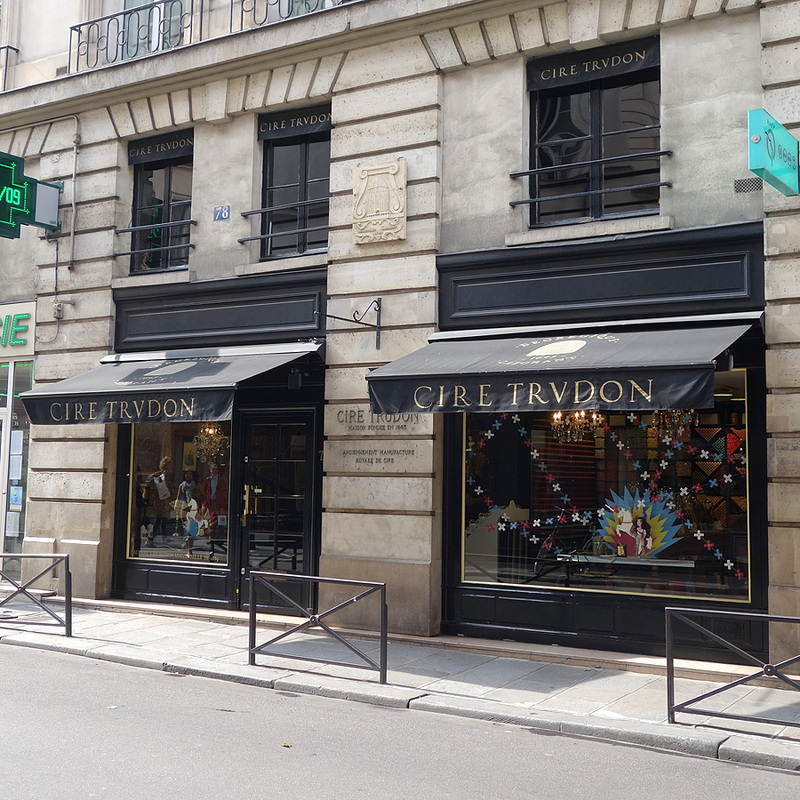 17th Century - During the reign of Louis XIII, Master Trudon moved to Paris where he opened a grocery store where he sells candles and wax of his own making. The Trudon pass the centuries without ever interrupting its activity, particularly through the manufacture of traditional candles and scented candles for bigger names. 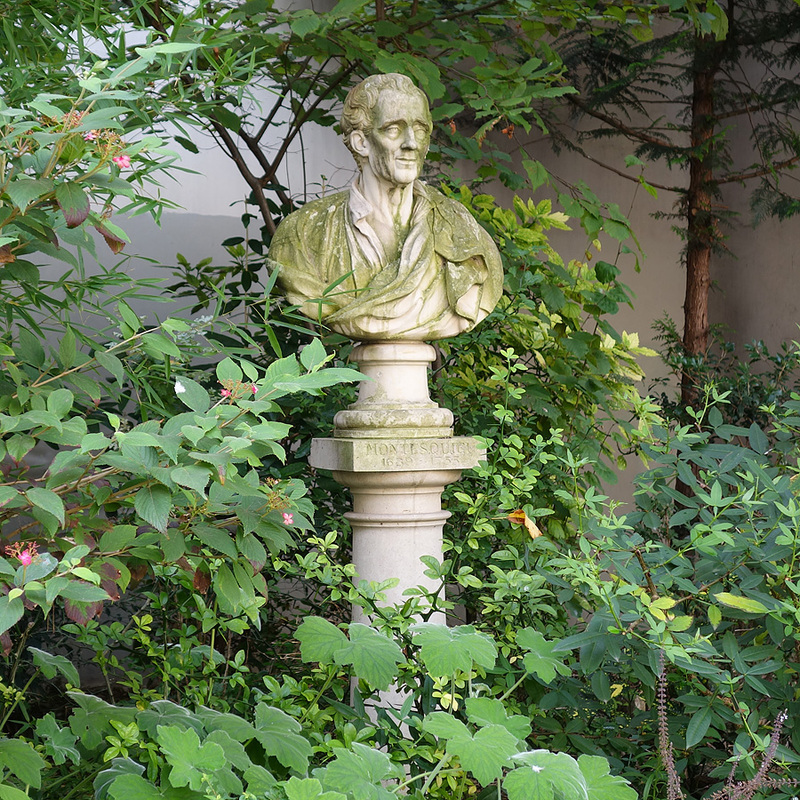 Today is the oldest and most prestigious wax-factory in the world.